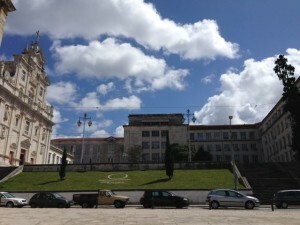 Entrance to the University of Coimbra. For years our friends in Portugal had urged Richard and me to visit Coimbra, the medieval university town that is home to one of the oldest universities in Europe. Established in Lisbon 1290, it moved to its current location in 1537. Today, more than 20,000 students attend, many of them from outside Portugal. The university is ranked number one in Portugal and third in the Portuguese-speaking world (the first is the Universidade de São Paulo, where my Portuguese professor received her degree). The campus is now a UNESCO World Heritage site. The courtyard where the old library is located. One of the attractions is the Joanina library, built in the eighteenth century and now a museum. The ground floor features elaborately decorated shelves of books from that time period, while in the basement is the student jail, among other things. Like many universities today, the medieval university needed to address instances of student misbehavior, and rather than being sent to the city’s main facilities, the campus malefactors had a separate place with better conditions — though the dank, smelly quarters, built before the advent of indoor plumbing, did not appear especially pleasant. Our law professor wears the traditional black suit and cape of the university. The student jail was closed in the nineteenth century, and when I visited, it had an exhibit of a campus uprising in 1969. Portugal’s dictator, António de Oliveira Salazar, was a graduate of the university and like many loyal alumni paid close attention to it in the following decades. Students and faculty who challenged him were quickly suppressed and in 1966, the independent student organization was shut down. A year after Salazar’s crippling stroke, students once again received permission to elect their leaders, but following a protest of a visit by Portugal’s president Américo Tomás (who Salazar installed in 1958 via a fraudulent election — and seven years later assassinated his now-exiled opponent in that election), hundreds were arrested. The confrontation between a newly-invigorated student union and the regime is considered a major event leading up to the 1974 Carnation Revolution. Sweatshirts come in the colors of the different departments, but I handed back the red one. 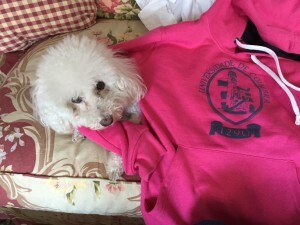 The person selling them said pink represents early childhood education, and the cute pooch is clickbait. 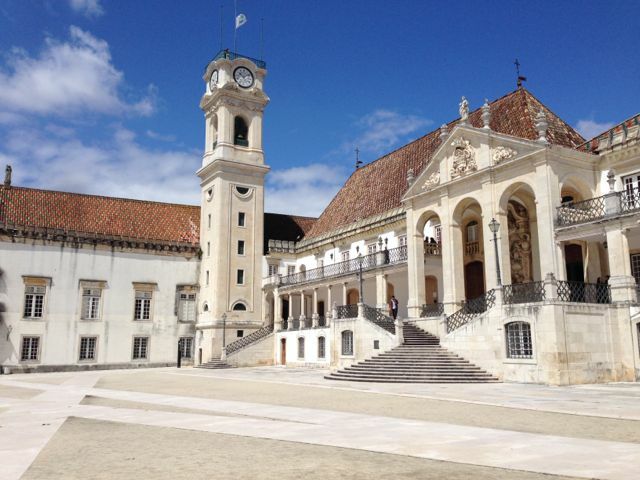 The Universidade de Coimbra has many traditions, among them the student uniform of a black suit and black cape and the separate colors of the eight departments or “faculties” — law (red), medicine (yellow), humanities (dark blue), sciences and technology (light blue), pharmacy (purple), business and economics (red and white), education and psychology (orange), and physical education (brown). At the end of the year, graduating seniors burn ribbons corresponding to their department. Other hazing rituals, called the “praxe” have developed over the centuries and likely had something to do with the student jail. The eighteenth-century cathedral, down the hill from the university. 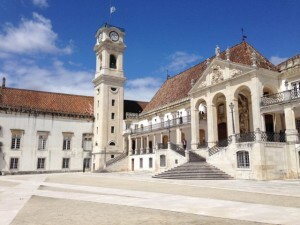 The town of Coimbra has its own attractions as well, including a beautiful old cathedral, many houses of fado, and places where famous students once lived. 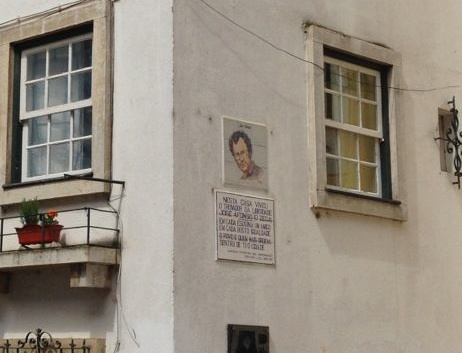 I was particularly interested in the former home of José “Zeca” Afonso, who received his doctorate in humanities while composing and performing fado. The fado of Coimbra is significantly different from that of Lisbon in that the groups are larger than the single (or two) accompanists and a singer of Lisbon, the acoustic guitar is more prominent than the teardrop-shaped Portuguese guitar, and the performers are exclusively men, whereas in Lisbon women singers are quite common and among the best known performers. Zeca Afonso’s home, across the street from the cathedral. Not sure how often he attended Mass. Because the Coimbra fado has originated with the students themselves, they typically wear the black suit and cape when they perform. 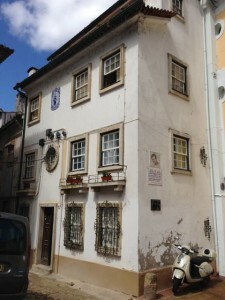 Fado de Coimbra has more in common with the trovadores of Spain, a tradition that made its way to the Americas and was embraced by notable Nueva Canción ensembles like Inti-Illimani and Quilapayún. 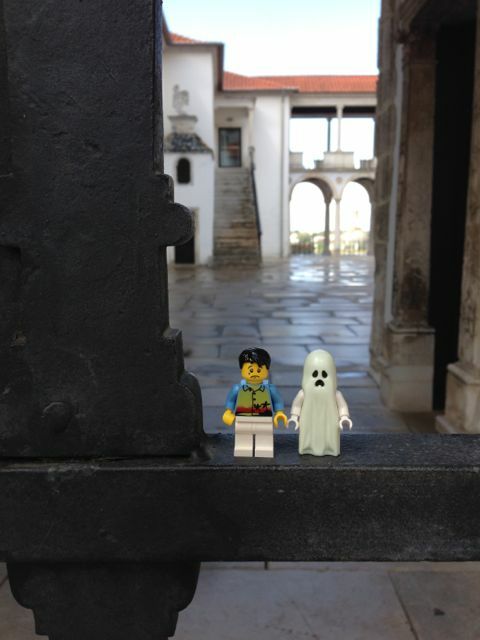 Richard and I visited Coimbra near the time of final exams, and we could sense the students’ anxiety. We didn’t notice much of a party atmosphere but rather students hurrying to classes and the library (not the Joanina library but the huge gray building that houses the general library) and tourists strolling about, admiring the centuries-old buildings and traditions. There is also a museum, a former monastery with a chapel of bones, but it was closed both days we were there. Thanks for the tour and history lesson. 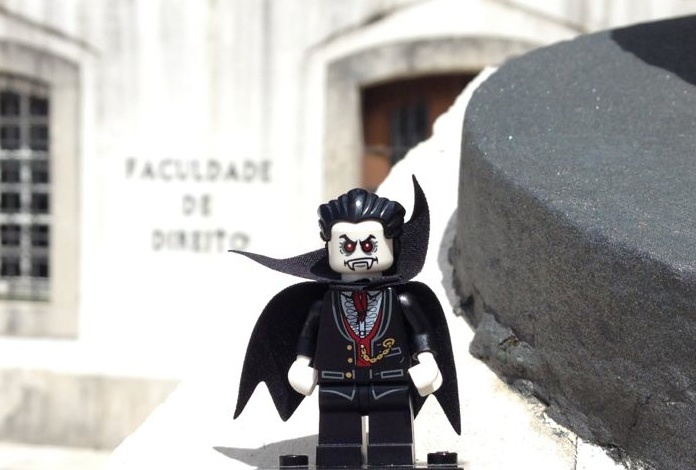 Love your traveling companions, especially the caped law professor! Thank you, Nancy! He definitely fit in there! Loved hearing about this, Lyn. 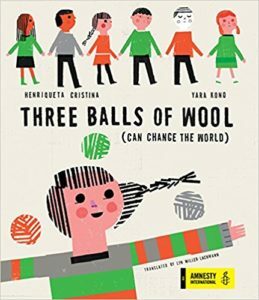 There are stories in and among those treasures you found at the Coimbra Library, if you care to write them. Thanks for posting this. Actually, people are not allowed to touch the books. Both books and furniture are behind ropes (and no photos allowed), but they’re amazing to see. Wow! It’s beautiful. And with a student jail! How very dark and intriguing. Thanks for this, Lyn! 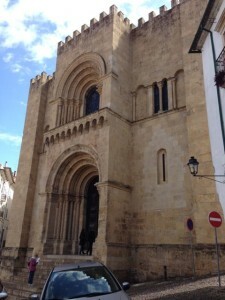 I strongly suggest a trip to Coimbra for your next visit to Portugal, Sandra. You would love it! Sounds like a lovely visit, Lyn. Thanks for taking us along with you. I’d love to visit a place with so much history.